Dr. Diane Delbridge grew up in the west Oklahoma City area and graduated from Putnam West in 1979. She received her Doctor of Veterinary Medicine from Oklahoma State in 1986, and began working at our clinic after graduation. She then acquired the practice in 1989. She has been married to her husband, Jim, since 1983, and their current pack consists of three dogs and four cats. Jim has trained one of their dogs, an Airedale named Murphy, to be a search and rescue dog, but he is mostly retired now. He has been training another Airedale, Yates, for search, and she is doing well and will mostly do historical work such as cemeteries. Dr. Diane is a major sports fan, supporting many Oklahoma State University teams, as well as the Dallas Cowboys™ and Texas Rangers™. She is an amateur genealogist, having published a book about the Delbridge family in 1999, and had articles published in a national genealogical journal in April 2003 and July 2008. Her other hobbies include gardening, bowling, water skiing, and all things Star Trek™. Professional organizations include AVMA, OVMA, and COVMA. She has a special professional interest in legalizing rabies vaccines for wolves and wolf dogs, and in saving the Yellowstone wolves. 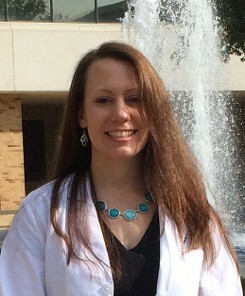 Dr. Stacey Godbeer grew up in the Dallas/Ft. Worth metroplex. She attended UNT for a short time before joining the US Navy as a Hospital Corpsman. She served overseas assigned to the Marine Corps in Okinawa, Japan, South Korea, Thailand, and Iraq. After serving on active duty for 5 years, she continued in the Reserves while working on her Bachelor of Science degree. She received her Doctor of Veterinary Medicine degree from Texas A&M in 2017. Dr. Stacey has been married to her best friend, Travis, since 2009. They have two smart and energetic girls who keep them busy. The whole family enjoys hiking, riding bikes, and anything that involves water. They currently have two cats named Loki and Sadie. Dr. Stacey has been with our team for over a year, and is enjoying putting down roots in the Yukon community. 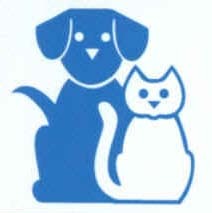 Contact our pet clinic for more information about scheduling an appointment with our experienced doctors.